The royal wedding is tomorrow and we can not be more excited, Prince Harry it's finally marrying Meghan Markle! All the mystery of who designed Meghan's wedding dress, who is invited, if her family is invited to the wedding or not, the news is in all magazines, newspapers, websites, Instagram, facebook, twitter, even youtube! And today we were able to see the members of the royal family and Meghan's mother together to meet the Queen! But speaking of the wedding, we're just too curious to know how the dress will look like if it will be princess style, more casual since the wedding will not be at the same church as Prince William and Kate Middleton seven years ago. 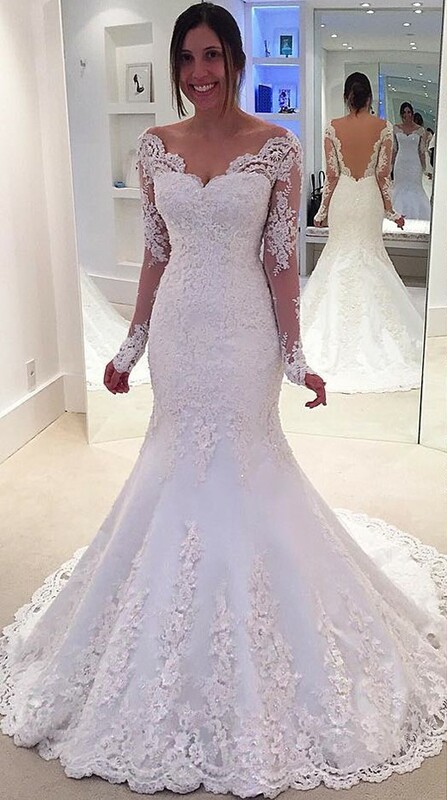 Whatever your dress, we know it will look beautiful and since we do not have any clue about your dress, we have chosen some of our favorites from MillyBridal UK. 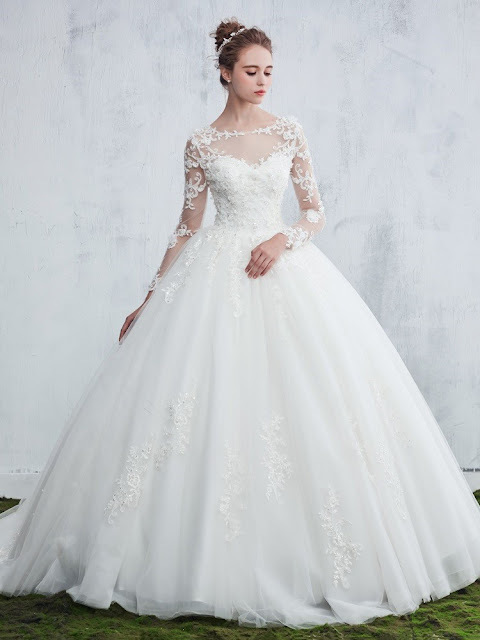 Since the dress cannot be very revealing, we have chosen very modest options for the wedding, this dress in particular, is very covered and elegant. This dress has very romantic details, obviously, the dress has to be white but the design itself is what we would like to see in Meghan tomorrow. This particular dress has a very classic style, accentuating the figure, with very beautiful details in the part of the shoulders creating the shape of a heart in the chest part. 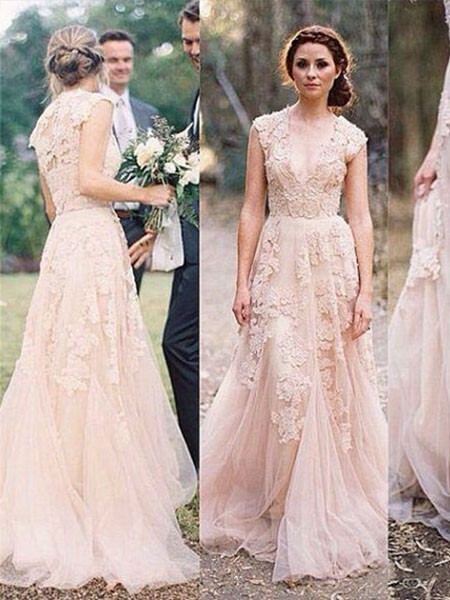 More Lace Bridesmaid Dresses here.